In 2017, Pure won a major pitch to redesign the packaging for hundreds of entry level Boots own brand health & beauty products. 14 months on and many of those winning designs are now on the shelves. The scale of the project means the new designs will also be introduced in Thailand, Norway, Republic of Ireland, The Netherlands and areas of the Middle-east. With guidelines developed by Pure used to recreate the pack designs in local markets. The project marked the beginning of a complete overhaul of Boots brand packaging, to differentiate Boots from the multitude of retailers offering everyday health & beauty products and fend off increasing competition from discounters. Boots’ strategy focused on reconnecting with its heritage and values - a heritage going back to Jessie Boot in the late 19th century, a pioneer who guided the business to success on principles of quality and accessibility. With so many lines to consider a ‘one size fits all’ design approach was not possible. 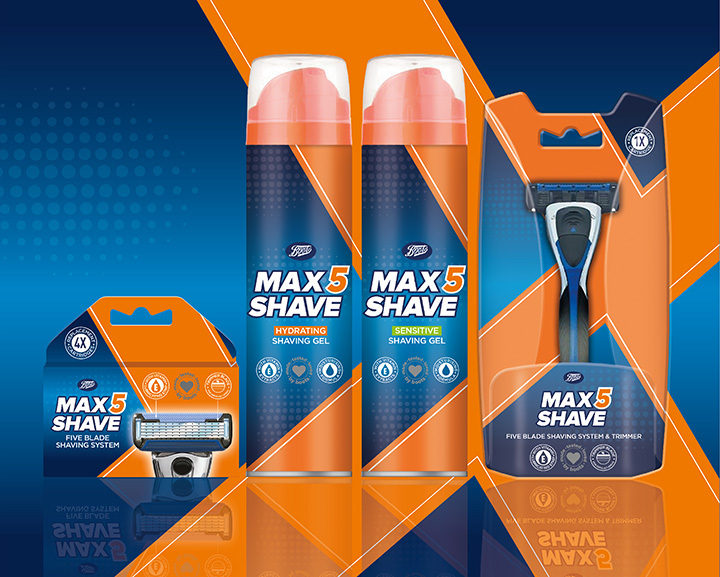 Consumers are also looking for packaging that excites and engages so the redesign had to take Boots in a new direction. As well as helping to define the brand, using illustrations sidestepped the challenge of buying-in imagery for hundreds of product packs, which due to cost would usually force retailers to work with stock imagery. 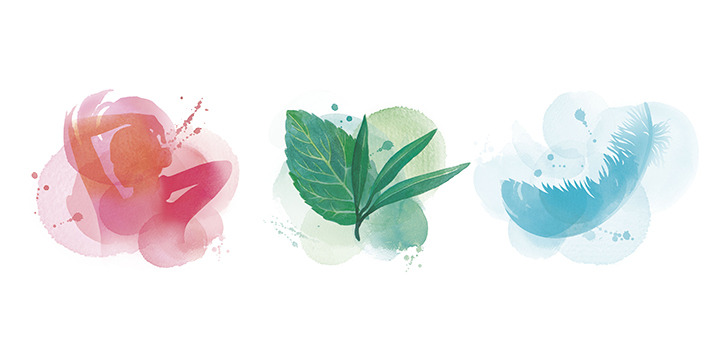 For core products, a distinctive and emotive watercolour illustration style was crafted that was adaptable per product type to show imagery that was either experience, benefit, or ingredient led – to connect with consumers’ expectations of the products. 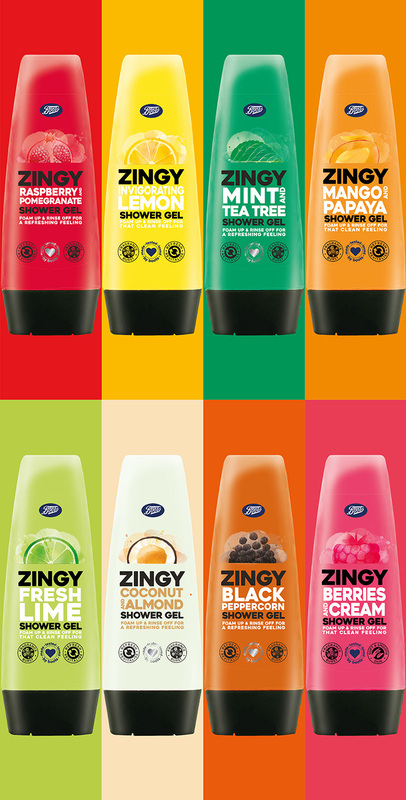 As examples; a refreshing shower gel wake-up (experience) and the protection (benefit) afforded by anti-bacterial hand wash.
With Boots looking to surprise its customers at every turn, Pure explored how design in specific categories was evolving and looked for opportunities to make a real statement on shelf. 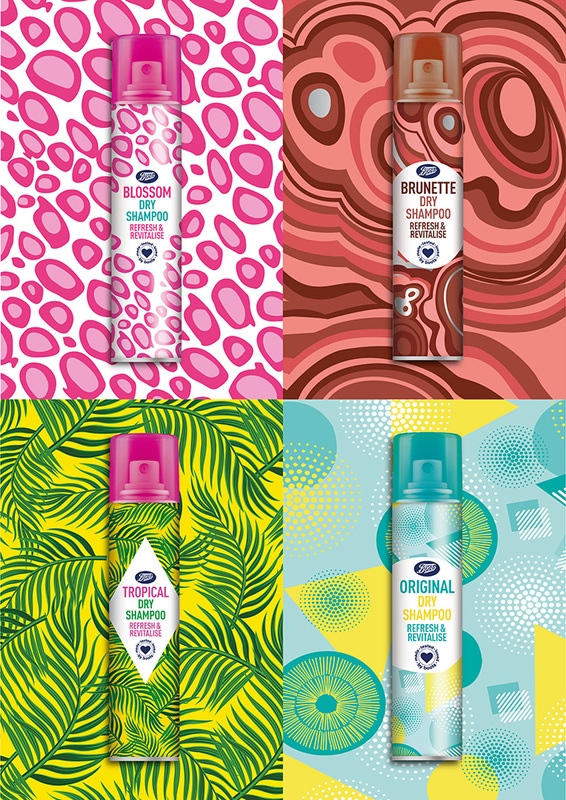 For example, for dry shampoos Pure developed striking patterns that not only reflected the product variants but brought bold colour and a real sense of fun to the purchase. 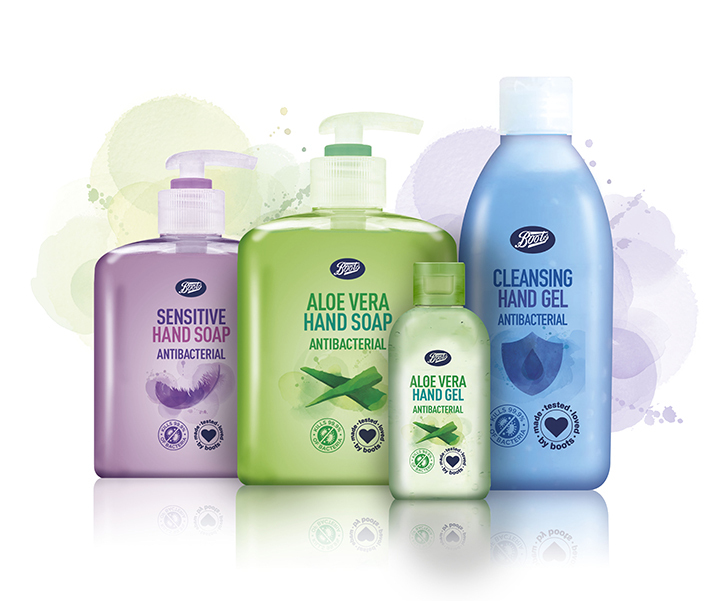 Pure also wove a marketable point of difference into the packaging – that Boots does its own product testing. Coordinated through Boots Evaluation Centre, testing involves 1000s of independent volunteers, enabling Boots to make and test formulations to ensure that every product on shelf is perfect. With space limited, the message was condensed into an icon that appears front of pack. Making it clear to consumers of Boots’ complete involvement in the process. At the same time removing any doubts for the large number of consumers who pick-up own label products and wonder ‘who made them?’. 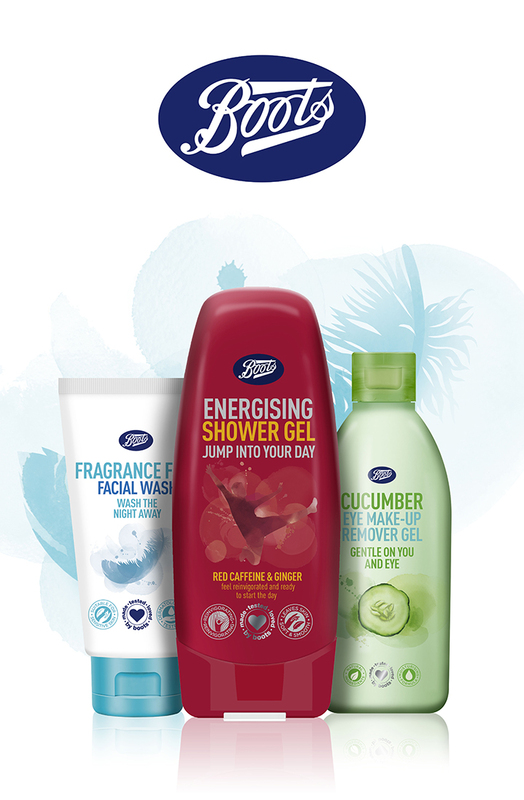 Beginning July 2018, Boots began publicising the launch of the redesigned ranges, promoting the Made, Tested, Loved icon as its promise to customers. 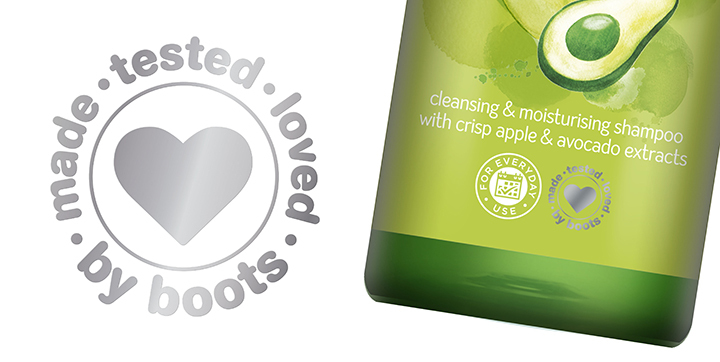 The designs were so well received internally by Boots that Pure was commissioned to work on projects across Boots broad product portfolio. To date, Pure has redesigned and created style guides for over 40 Boots own brand ranges.